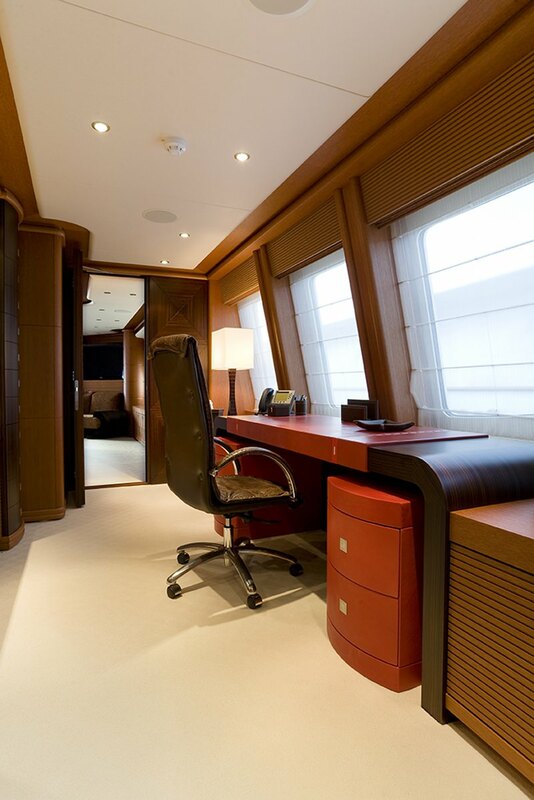 Length 154' 2" | Beam 29'6" | Draft 8'2"
Designed by Omega Architects and built by Heesen – Superyacht Sirrocco's impressive leisure & entertainment facilities make her the ideal luxury charter yacht for entertaining with family and friends. 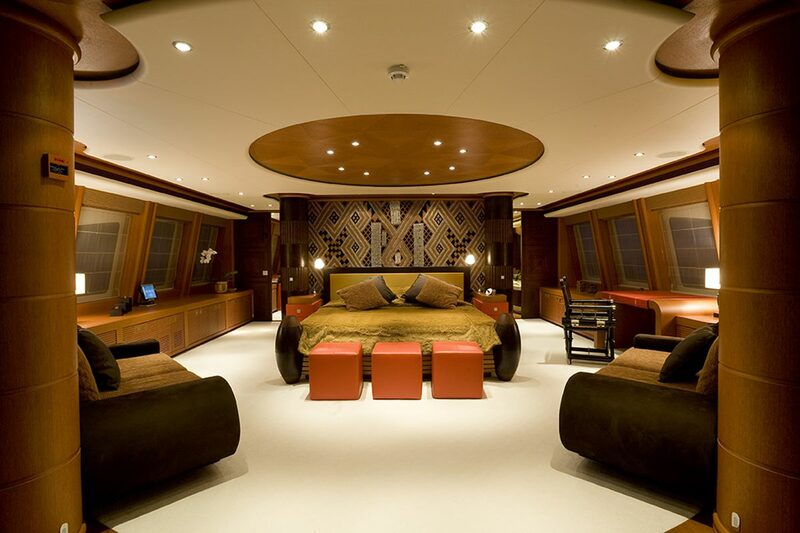 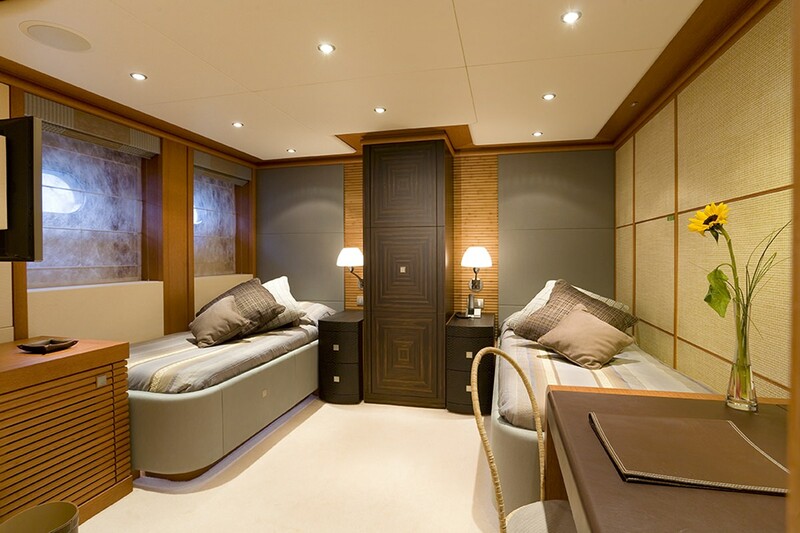 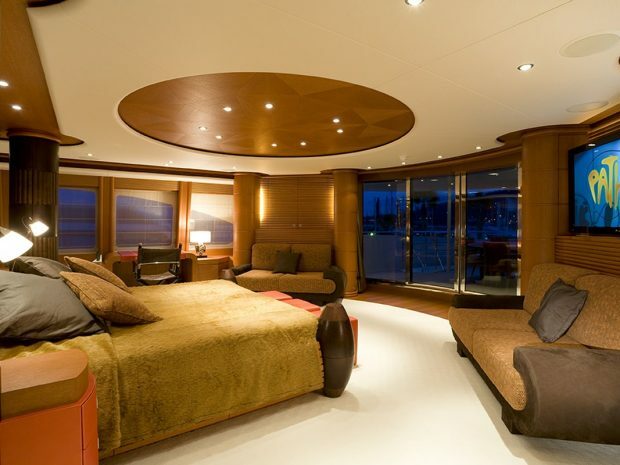 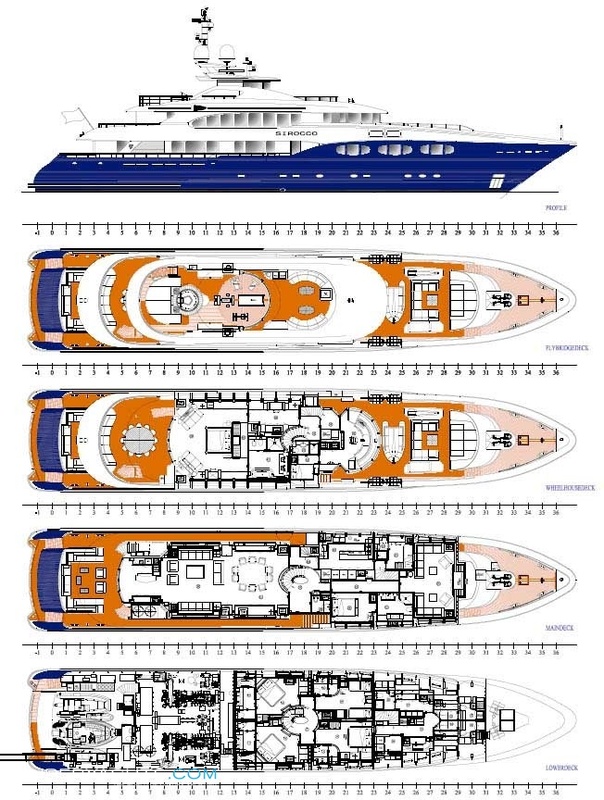 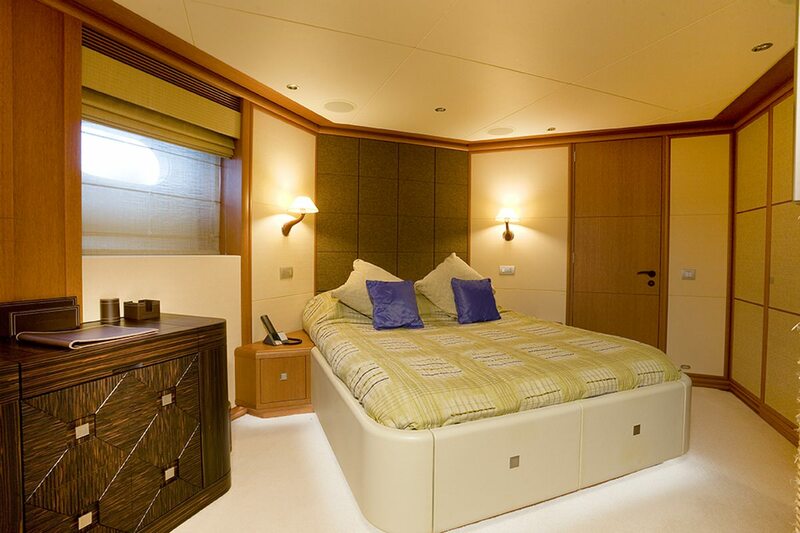 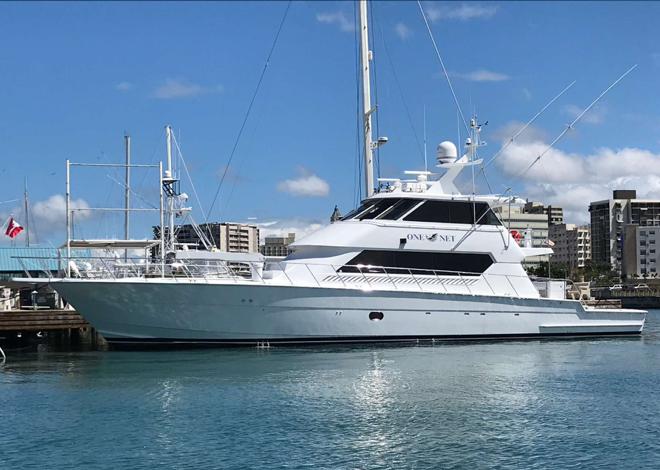 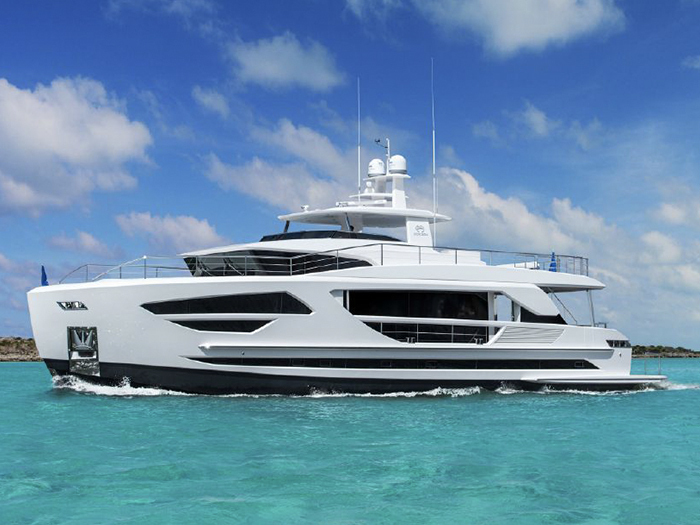 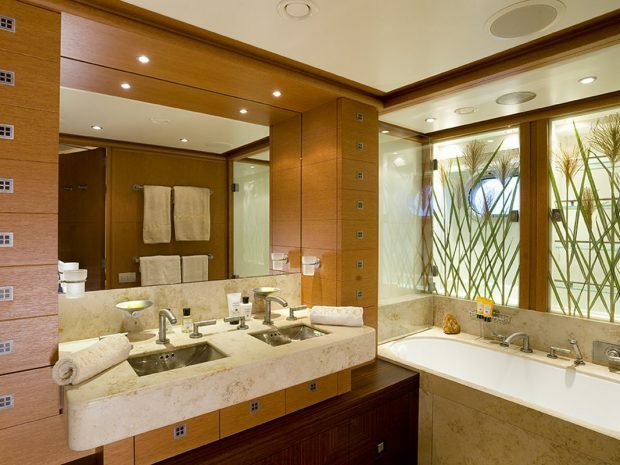 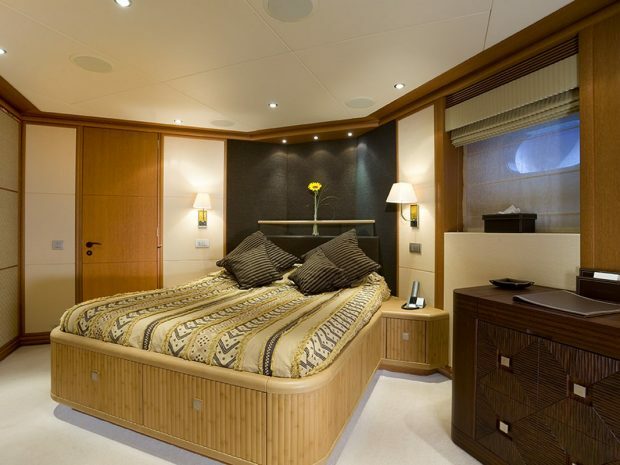 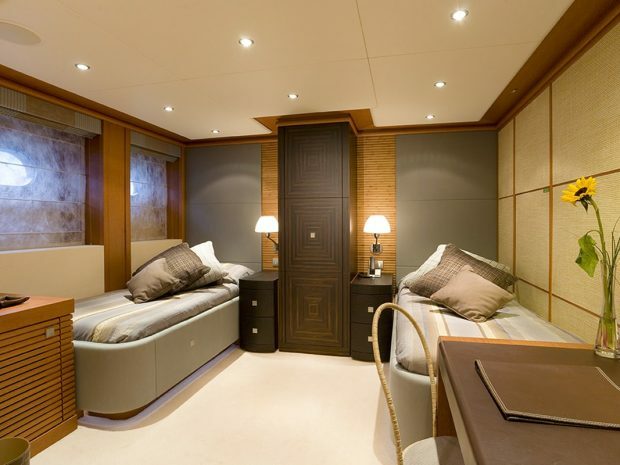 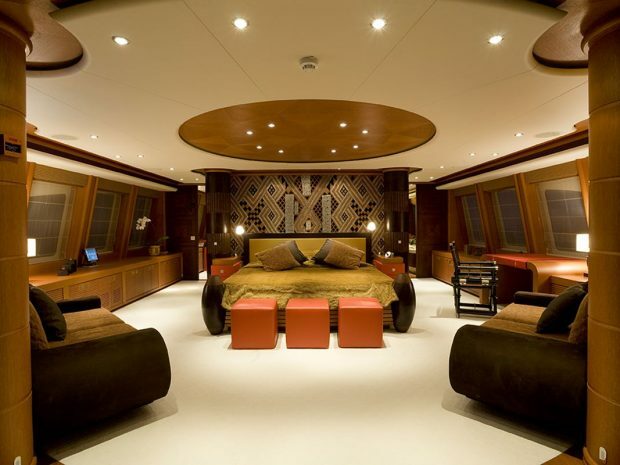 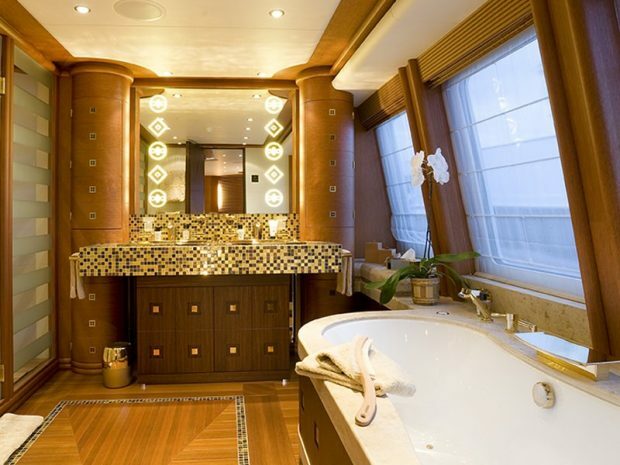 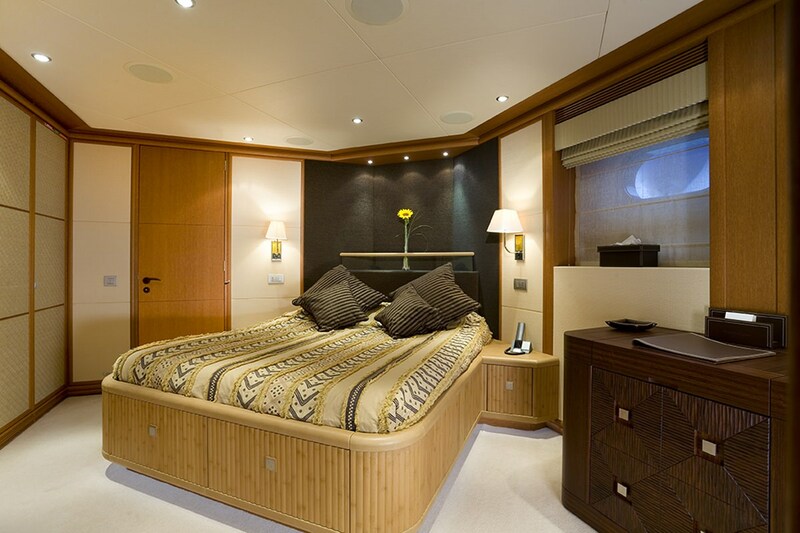 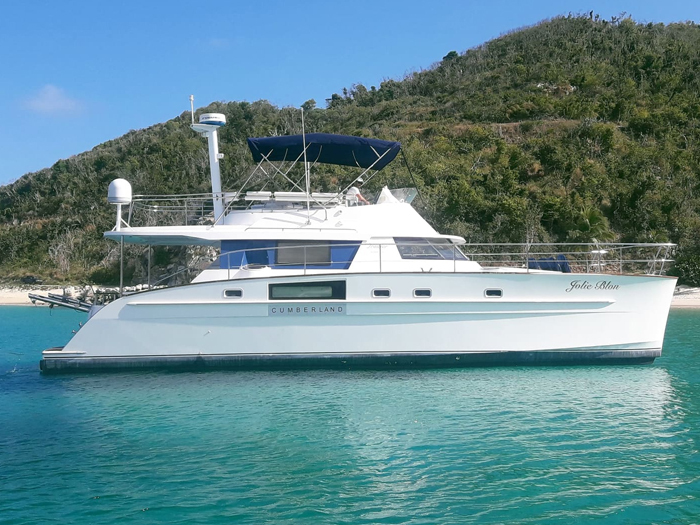 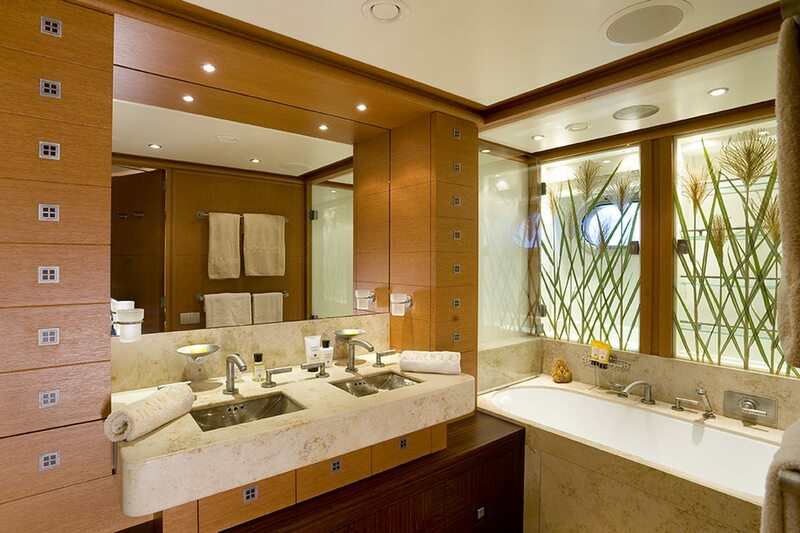 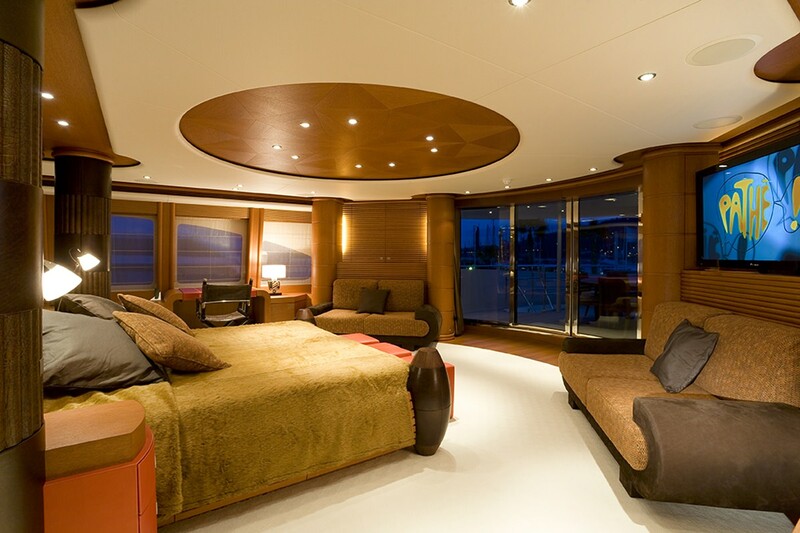 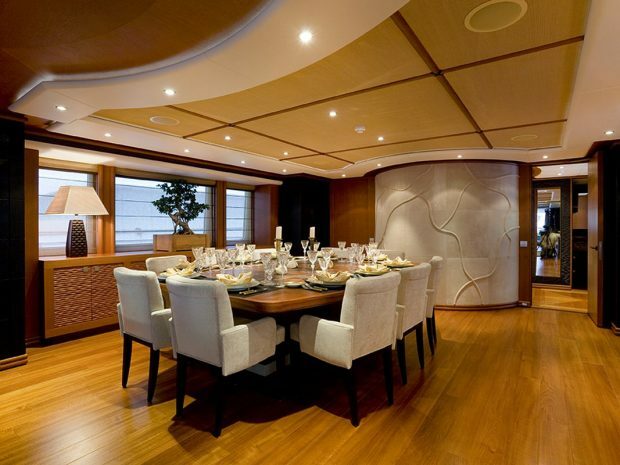 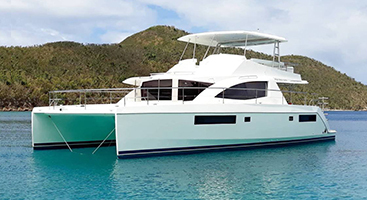 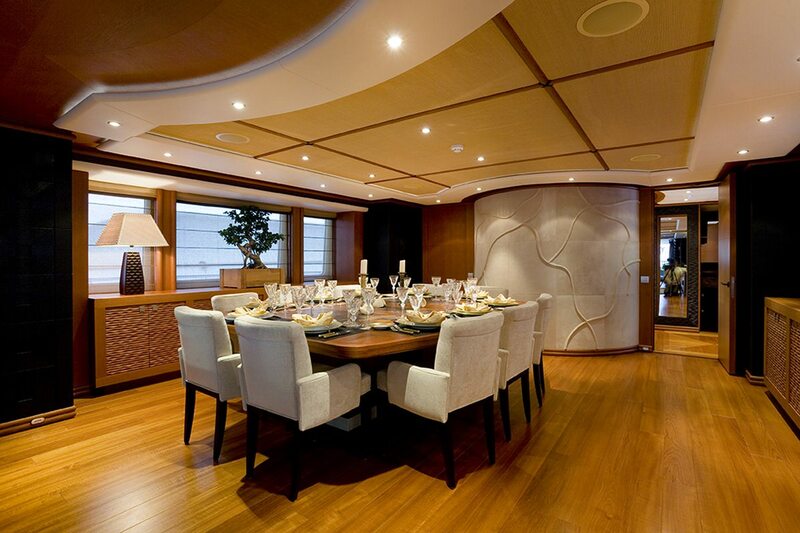 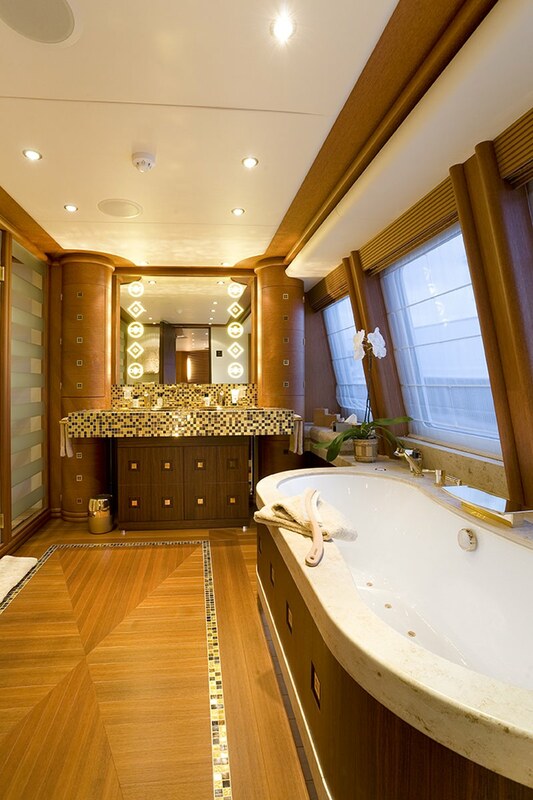 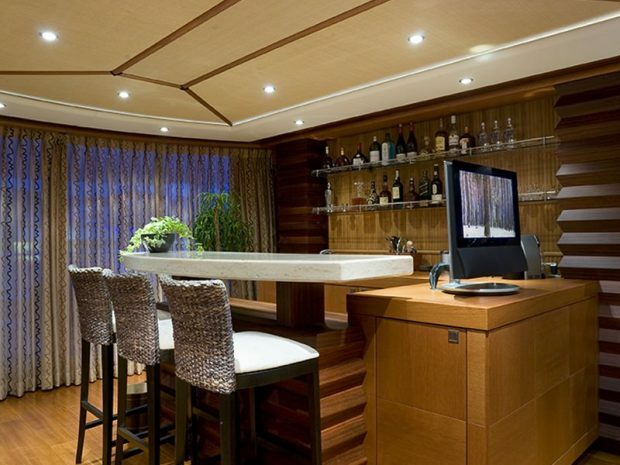 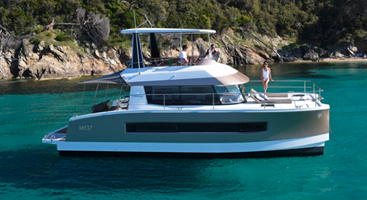 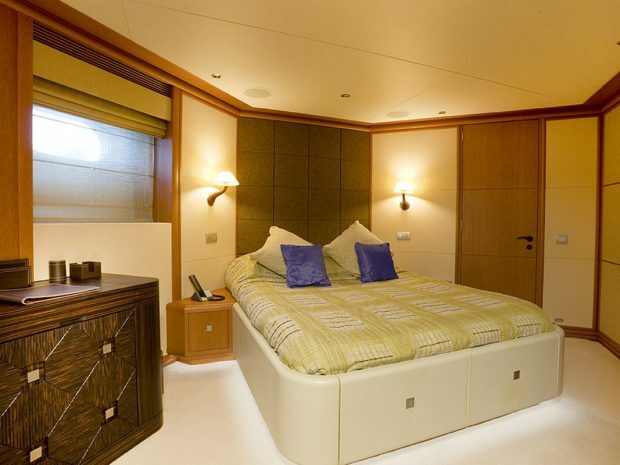 Sirocco’s interior layout sleeps up to 12 guests in 6 rooms including one master suite, one VIP stateroom, two double cabins and two twin cabins. 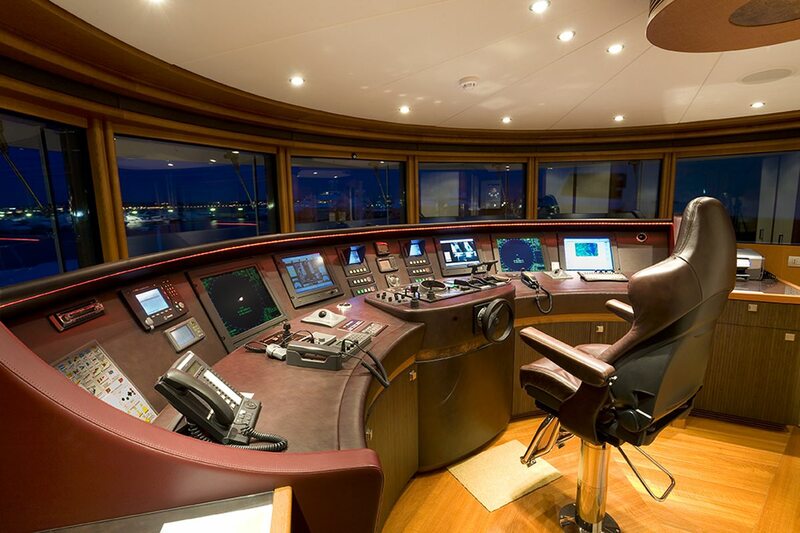 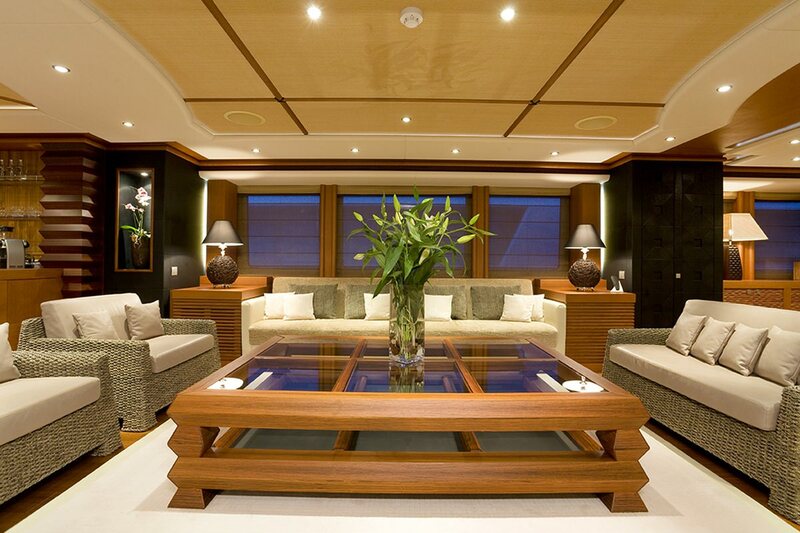 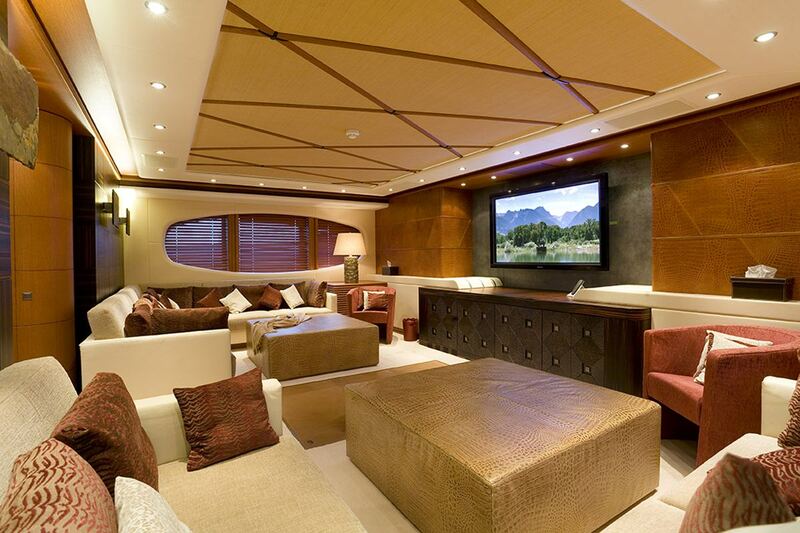 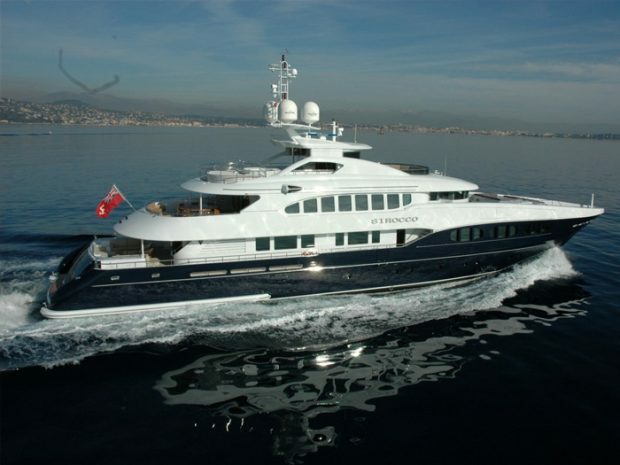 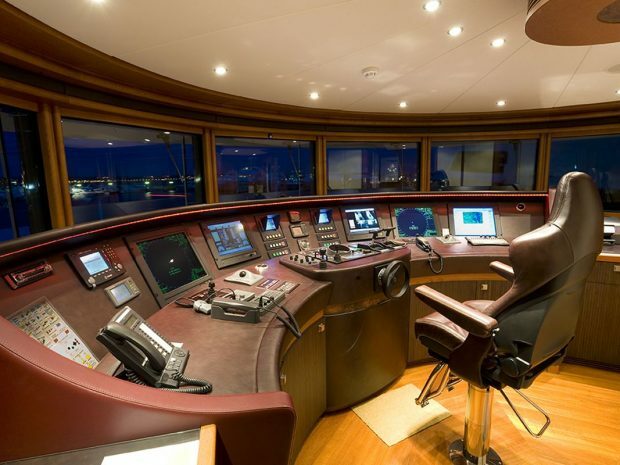 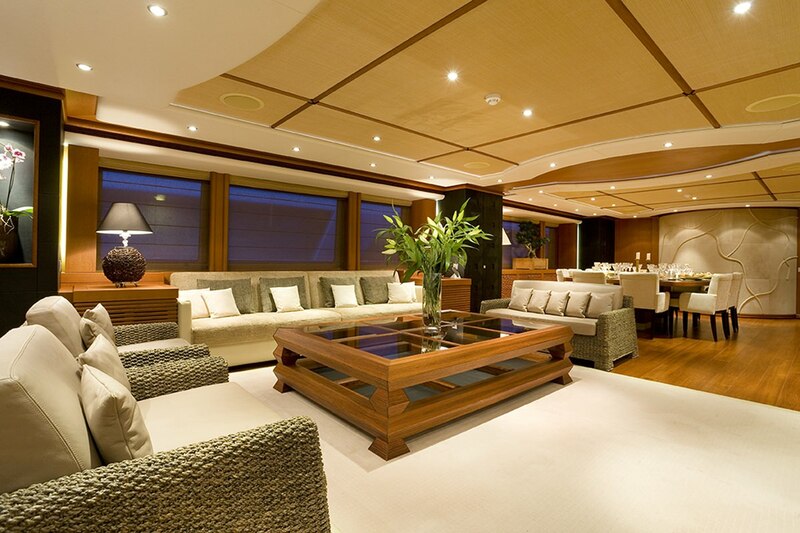 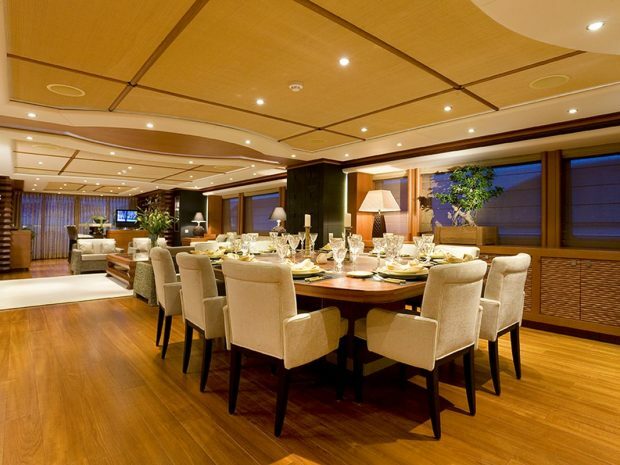 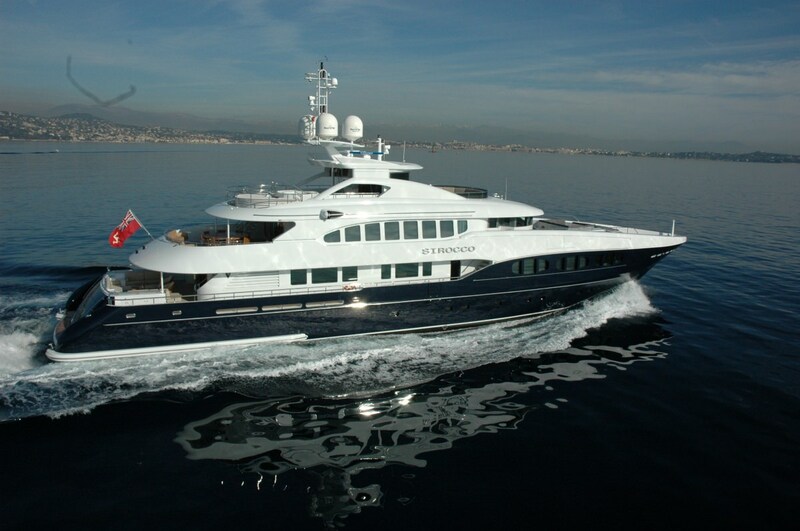 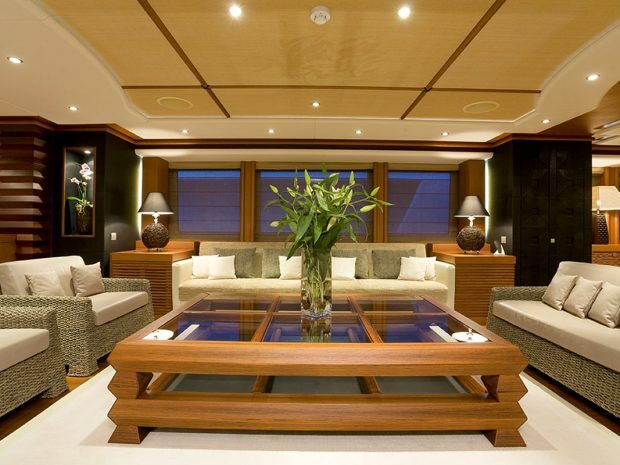 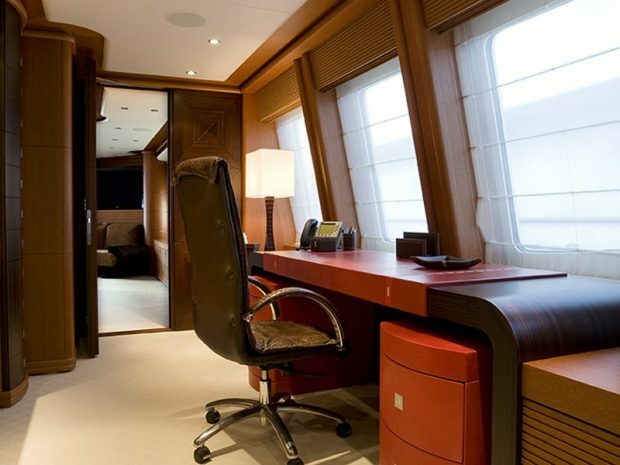 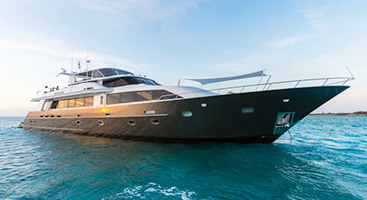 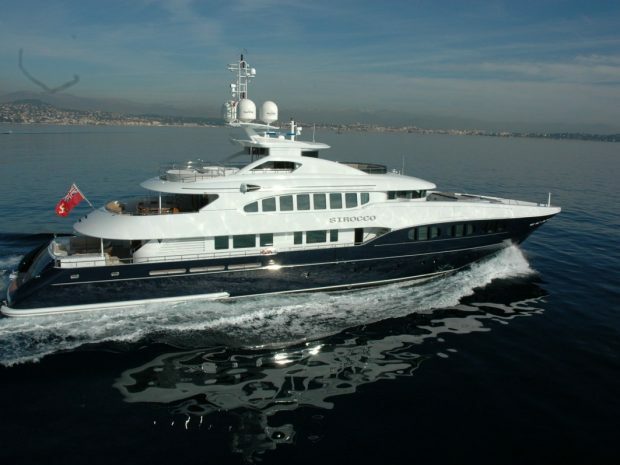 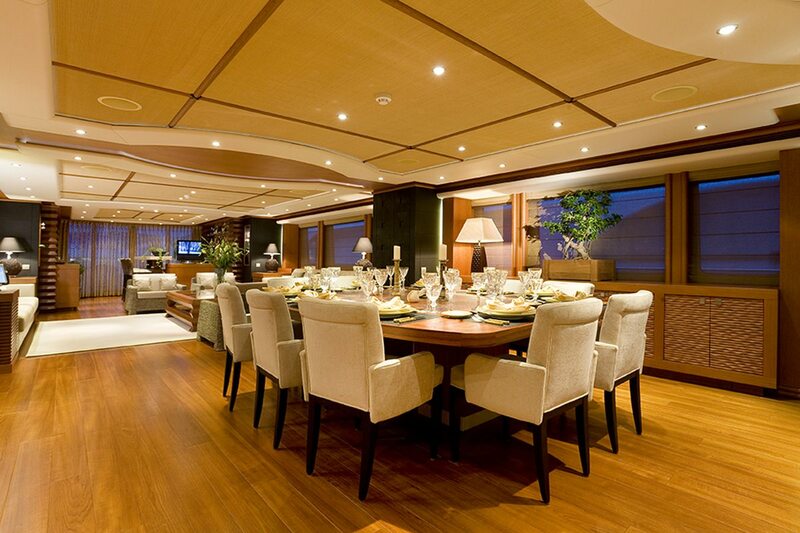 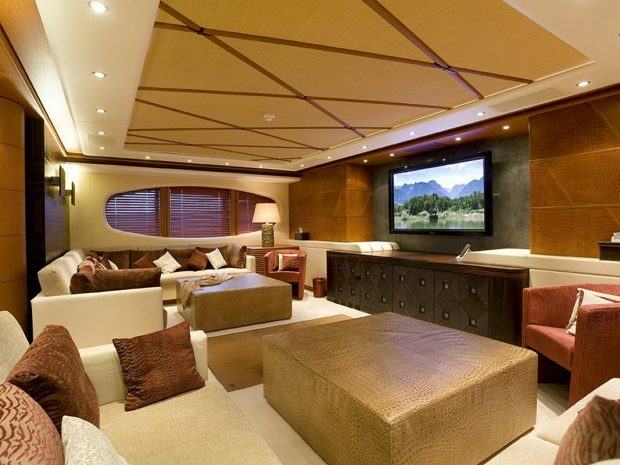 She can carrying up to 9 crew onboard to ensure a relaxed luxury yacht experience with a group of family and friends. 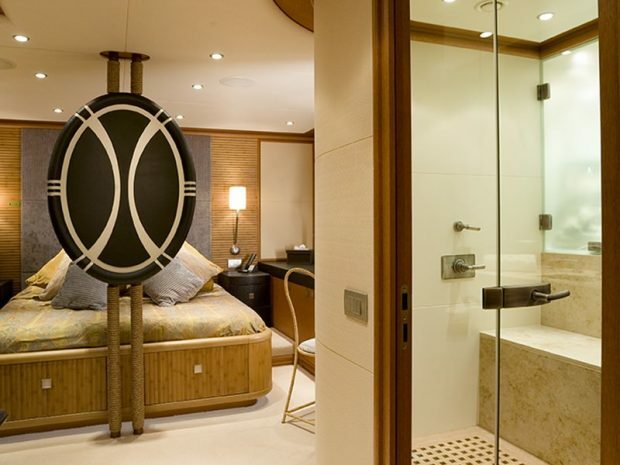 Between that and her timeless styling, beautiful furnishings and sumptuous seating – her ambiance creates an elegant and comfortable onboard experience. 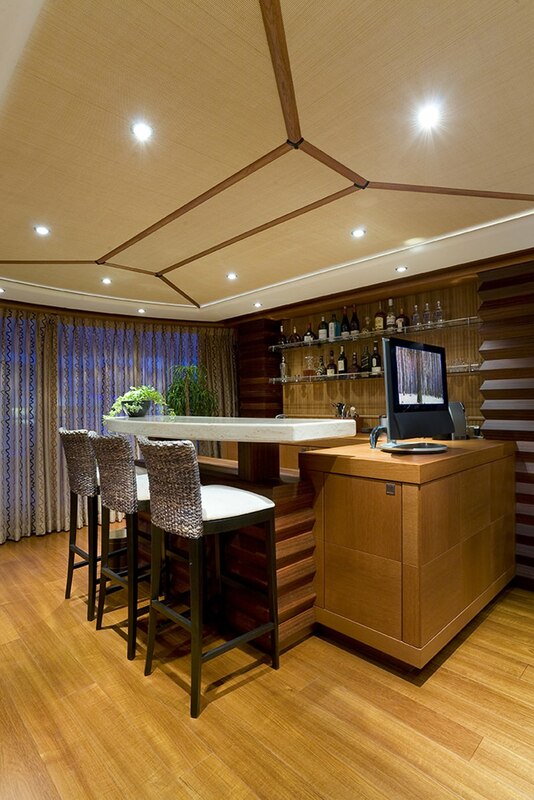 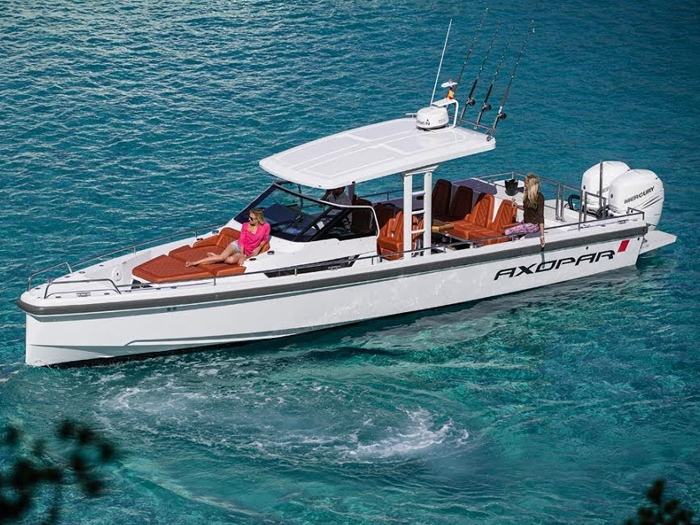 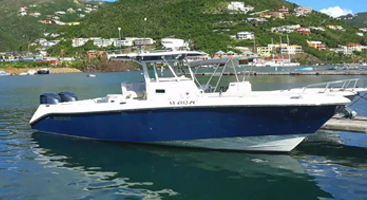 Many of Siroccos amenities come with your charter, but inquire about optional add-ons for recreation and entertainment.